Will Moya of Queens, NY, has been appointed Berkeley College Vice President of Campus Operations. In this role, Mr. Moya will oversee a team of nine Berkeley College Campus Operating Officers. He also will be responsible for Financial Aid Operations system-wide, and for overseeing initiatives that benefit students and their paths toward academic success. Mr. Moya’s appointment is part of a realignment of operational leadership at the institution announced by Berkeley College President Michael J. Smith. The changes will go into effect January 2, 2017. “I am excited for the opportunity to work with an outstanding team of staff members and faculty partners throughout Berkeley College, all of whom share a passion for student success,” Mr. Moya said. Mr. Moya most recently served as Campus Operating Officer of Berkeley College in Midtown Manhattan, NY. In that role he handled day-to-day operations and collaborated with many departments to ensure that the policies, procedures and goals of the campus and College were met. He also continued to build partnerships with businesses in the community to support the growth of internships which led to permanent positions for Berkeley College students and graduates. 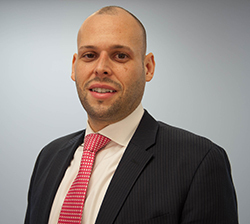 Since beginning his career at Berkeley College in 2002, Mr. Moya has held positions in Advisement and Student Records, Academic Affairs, Records Management, Institutional Advancement, Financial Aid, and Campus Operations. Mr. Moya received the Berkeley College Associate of the Year Honorary Mention award in 2003 and the Associate of the Year award in Teamwork in 2004. He earned an MBA in Management from Nova Southeastern University, and a BBA in Information Systems Management and an AAS in Office Systems Management, both from Berkeley College. He is a member of the Phi Theta Kappa Honor Society.